While the majority of properties keep their cabinetry some sort of wood finish, you can stand out from the competition by incorporating darker cabinets. We would suggest something like a navy or charcoal black cabinet. This will give your units a sleek, modern feel helping to increase the value add and rental prices for each of your units. Another option you can try with cabinets is a two-toned look. Not only is it on-trend but it also adds dimension, giving your kitchen an elevated, modern appeal that others in the area may not have. We recommend going with darker cabinets on the bottom and white or a lighter color on the top. The different colors will create a strong visual contrast to make your property’s kitchens pop! While lighting might seem like a minor detail, it can really pull a space together. Strategically placed pendant lighting over a breakfast bar, kitchen island, or dining room table can be a great way to add a unique touch to your units. There are plenty of options choose from meaning you can find just about anything to work for your property. Replacing carpets between residents can become rather costly over time. Opting for a wood laminate plank or a luxury vinyl can give you the same feel of hardwoods for a fraction of the cost helping you avoid the continued cost of replacing carpet. We love a dark walnut color for an instant luxurious feel in your units. The darker floors will contrast nicely with traditionally lighter colored walls or even a colorful accent wall if you opt for that. Future residents will happily pay a premium for the elevated look of hardwood floors. Clean, minimalist design isn’t going away any time soon if you ask us! If you’re doing upgrades to your unit kitchens, consider using shaker-style cabinets. These provide clean, modern lines future residents will love. Plus, you can get them in a variety of colors to suit your property’s style. If any of your units have a peninsula or island in the kitchen, you should consider upgrading the countertops to have a waterfall edge. The feature has been featured in upscale properties across the country and will definitely help you attract a higher rent per unit. It’s easy to install standard backsplash in your units but that doesn’t do much to help make your property memorable or modern for residents. You don’t have to go crazy but trying something with a geometric pattern will combine a graphic interest with a classic outline making your property stand out from the rest. As you can see, there are several trends you can incorporate into your property to help give an updated, modern look to your units. While some may have a larger upfront cost, they will all help attract a premium rent boosting your bottom line. Interested in including any of these trends in your renovations? Contact us today! Now that you’ve decided it’s time to rebrand, we’re sharing our top tips to make your property image overhaul a smooth and successful process. Your community’s strengths are essentially what makes your property unique compared to your competition. Maybe your property has a perfect location or you offer amenities that other nearby properties do not. Whatever it is, knowing your property’s unique value proposition is paramount when it comes to rebranding and appealing to your target market. Similarly, you’ll want to consider who you are targeting with your new property image. Young professionals? Families? Students? By defining your market, you can build your new brand with this audience in mind. Not only will this help with your new marketing plan but this will also help when it comes to renovations. Don’t forget your landscaping. While repainting the exterior of the property improves the overall impression of the property, you should never overlook your landscaping. Pair a freshly manicured lawn and beautiful landscaping with a new coat of exterior paint and your property will certainly stand out to future residents. Hiring these professionals can help with some of the heavy lifting so that you can focus on getting the best ROI for your property. If you’re looking for help with your property image overhaul, contact us today! Renovating or rebranding can be a major undertaking but hiring a design renovation firm can make the process much easier. They can help by taking the lead on the project, managing the logistics and coming to you only when they need feedback or final decisions on the design and other details. Not only will they handle creating the design for you, but they’ll also help with the coordination of contractors and vendors and keeping the project on time and on budget. Everything you need to make sure your renovation runs smoothly! But not all design renovation firms are created equal. Every designer has a different design style so you want to make sure you find a firm that either matches your style or matches the vision you have for your property. Their portfolio will highlight the past work they’ve done so you can see what their style is and if it fits with your overall vision for your property. The next step you’d take is having a conversation with potential firms. This is your opportunity to share what you are looking for and then you’ll be able to see if they’re a good fit. Do you mesh well with their team? Do they understand your vision? This conversation will give you a really good idea if they’re the right fit for your property. So you know their design style matches what you’re looking for, but do they offer the services you need? When it comes to renovations for a multifamily property, there are a multitude of projects that can be done. 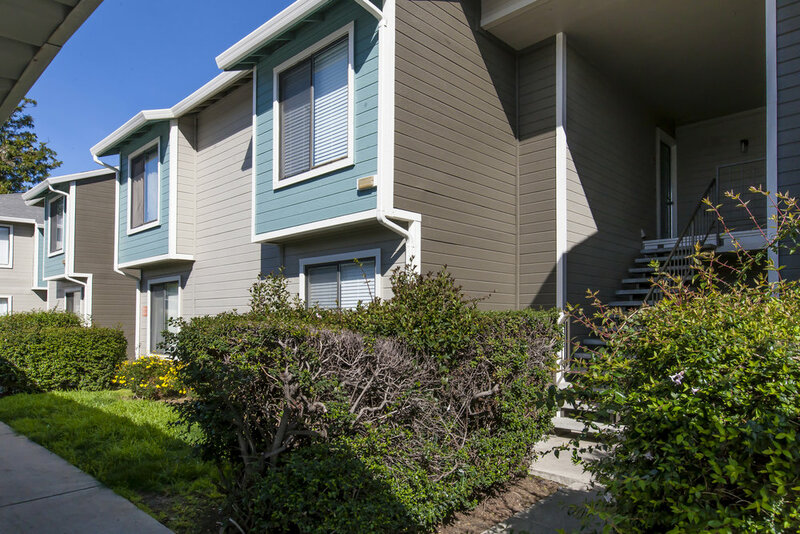 Some properties just need a fresh coat of exterior paint while some need staging for a model unit and others need a full renovation of the rental units. Most firms will offer all of these but make sure they actually have experience with each facet of your renovation. One of the biggest benefits of hiring a design renovation firm is their connections. Design renovation firms often have a list of trusted contractors and vendors they work with on a regular basis. We suggest asking about the contractors and vendors they work with in your area. This way you can start to get a better idea of how this process will work and you can do a little research into these connections prior to hiring a firm. This way you can ensure that your property is in the best hands possible throughout the entire renovation process. Always ask for references. Their portfolio should not be enough in selling you on any given firm. Their work may be beautiful but it may be very difficult to work with him or they may have gone over the timeline, etc. Digging into references can help offset any of these concerns. You can ask for references from past properties and/or contractors or vendors to get a well-rounded idea of what it would be like to work with that firm. And there you have it! Four things to consider in your search for a renovation design firm for your multifamily property. Taking your time to vet prospective firms and building a trusting relationship will help ensure a successful renovation process for your property. Looking for some assistance with your renovations? Contact us today to learn more.